Nelson Maths: Australian Curriculum NSW provides between 30 and 33 units of work for each year level, with each unit of work divided into three Lesson Plans. Providing flexibility, the Lesson Plans can be tailored to cater for students’ different learning styles and diverse needs. Teachers are provided with a variety of opportunities to assess their students’ understandings for future planning and learning. Information and Communication Technology (ICT) is integrated throughout Nelson Maths: Australian Curriculum NSW. The Nelson Teaching Objects (NTOs) are provided for use on interactive whiteboards and individual computers. Nelson Maths: Australian Curriculum NSW provides opportunities to assess student progress throughout the program using a method best suited to their needs. Recommendations for future learning are linked to these assessment tasks. The Nelson Maths Building Mental Strategies Big Books support children in their first, second and third years of school in the development of sound mental strategies that will work for them in a variety of contexts. 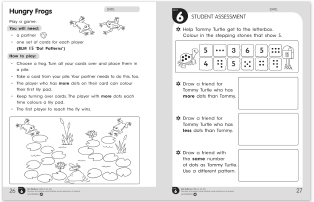 The Big Books can be used in conjunction with the Nelson Maths: Australian Curriculum NSW F-3 student books. The Building Mental Strategies Big Books and Skill Books are relevant and applicable to the NSW Mathematics K-6 Syllabus for the Australian Curriculum. The Nelson Maths Facts Student Handbook is a compact yet comprehensive resource that provides students with basic mathematical facts and definitions. Suitable for middle year’s students, the handbook is supported by interactive materials on the accompanying software. The handbook and software materials provide and easy-to-follow sequential summary of concepts that will consolidate students' mathematical understanding.